The garden is in, the pool is finally up and filling, the deck pots are growing their herbs, greens, tomatoes and peppers. We've been eating some fine salads. I grew radishes for the first time this spring and am loving those right out of the garden. I never liked them as a child, but the palate improves with age. There are a lot of advantages to older age, I'm discovering, and I don't mind growing older one bit. But I would like to be able to squat in order to better weed my garden. Note to youngsters. Practice squatting so you don't lose the ability. Even if you never seem to need it. Someday you might discover yourself in a lifestyle change that requires squatting. 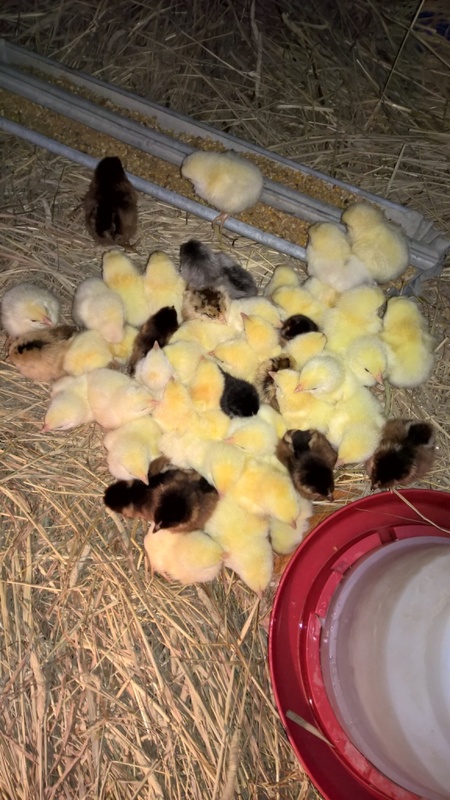 The chicks arrived this morning. Thirty-five meat birds and twelve for the flock. This year we selected six Partridge Rock which fit well here due to their gentleness, foraging, and mothering abilities. Their brown color also helps protect them from aerial predators. We also selected three Araucana for their beautiful aqua and green eggs and, new to us this year, Whiting True Blue for their blue eggs. It's always fun to have a variety of colors in the egg cartons. For our freezer, we chose Murray McMurray's "Cornish Roasters" again this year, as we have had great results with them, and they are capable of moving around, foraging, and living their lives well until the very last when it is time to butcher. We are well satisfied with these beautiful birds which produce a huge breasty carcass for the freezer. 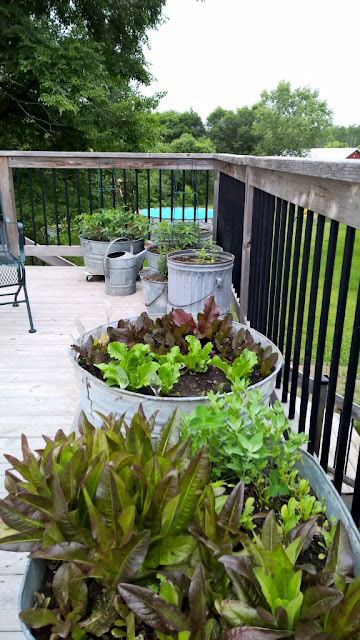 We've still been "harvesting" our 2015 garden from the root cellar. The potatoes are still holding out, and these beautiful "Cosmic Purple" carrots held up better than the "Danvers Half Longs", which began to go south in February/March. These are beginning to lose some of their sweetness and flavor, but are still fine for soups and such. I am trialing a few other varieties this year, aiming for storage ability. 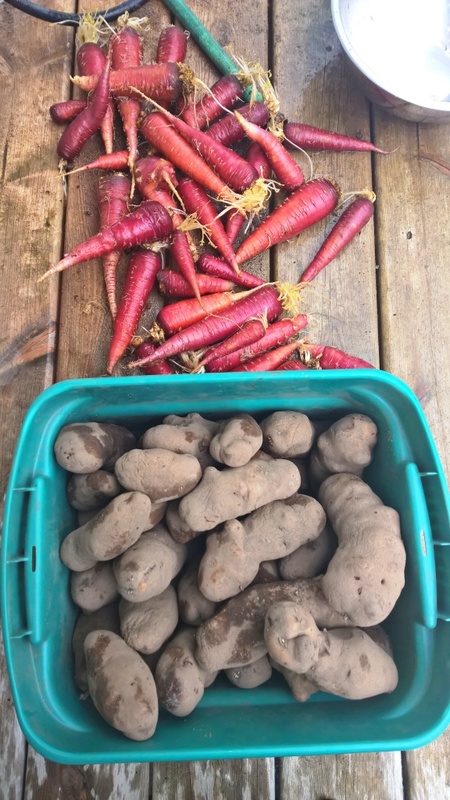 We hold our carrots and beets in bins and layer them (not touching each other) with damp sand. The potatoes, once thoroughly dried in the sun go into mesh bags and are stored as they are. Any that begin to go bad need to be pulled out so they do not affect their neighbors. And they stink.